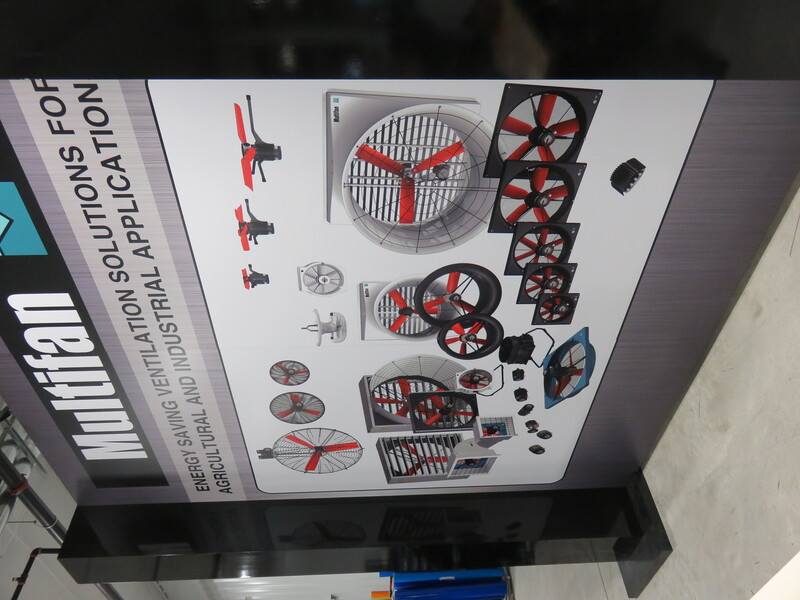 Going to trade shows and exhibits are exciting, especially when you get free notepads and pens from so many different companies. 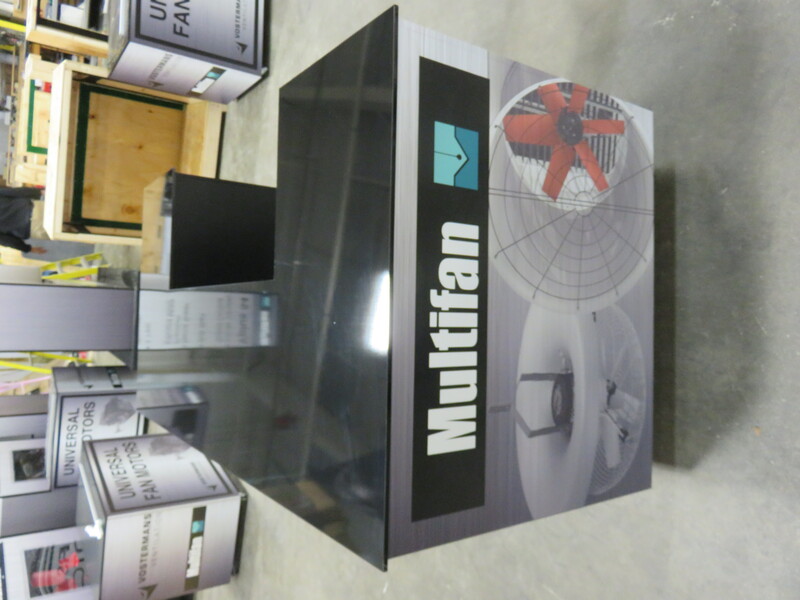 We, as viewers, get to see the displays and watch exhibitors show off. 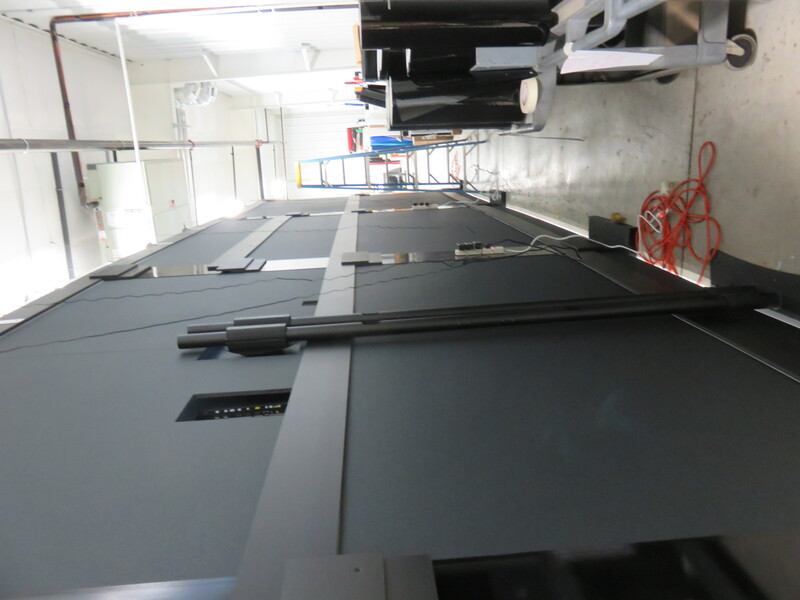 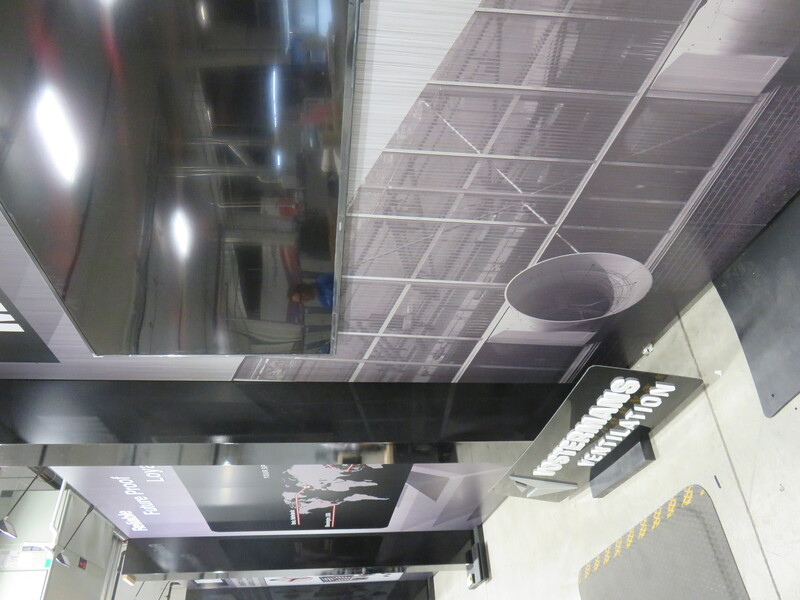 However, have you ever stopped to think about the work that goes on behind the display? 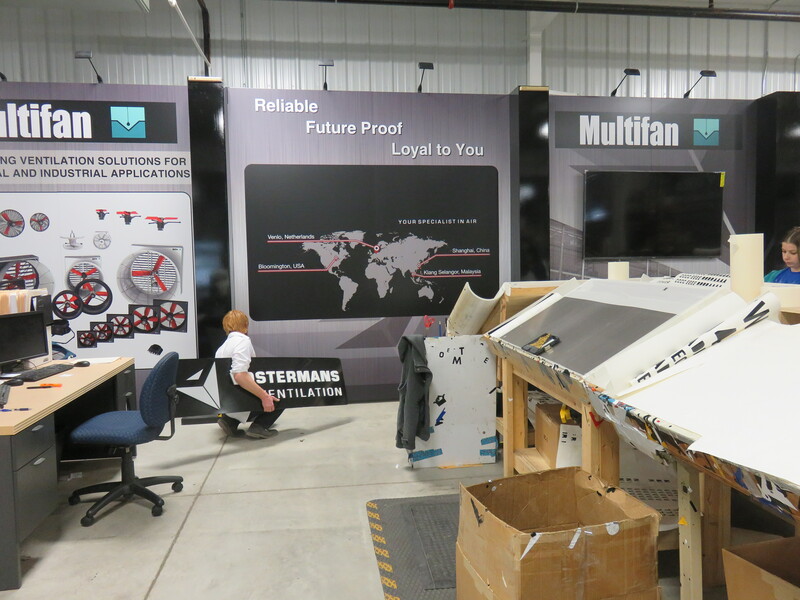 Have you thought about where those companies get all of those displays from and how they chose those specific visuals and set ups? DynaGraphics provides the work, the displays, and the creations. 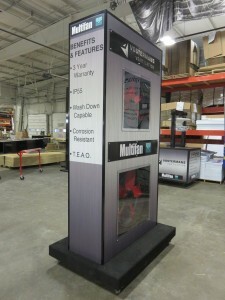 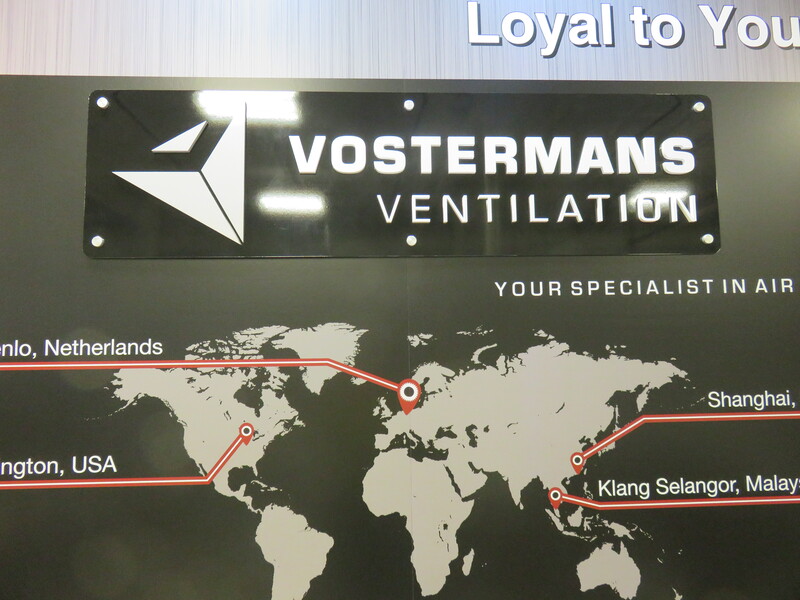 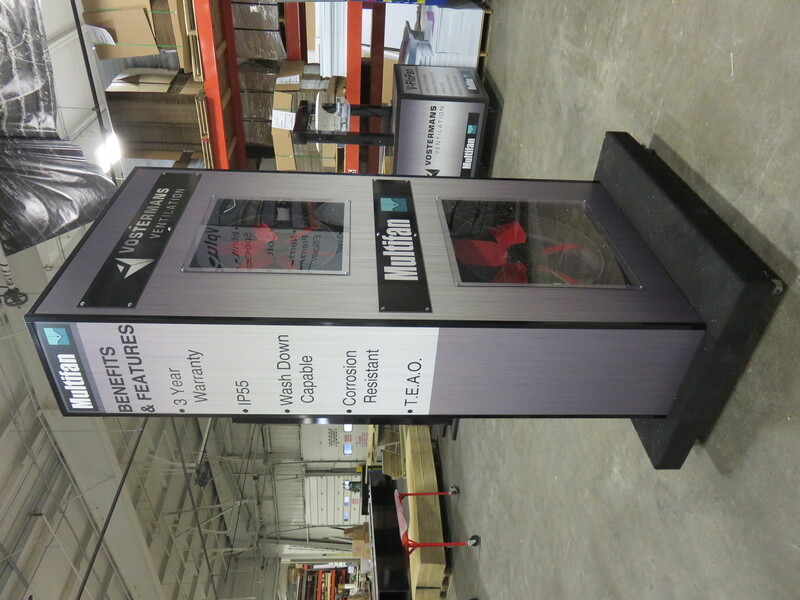 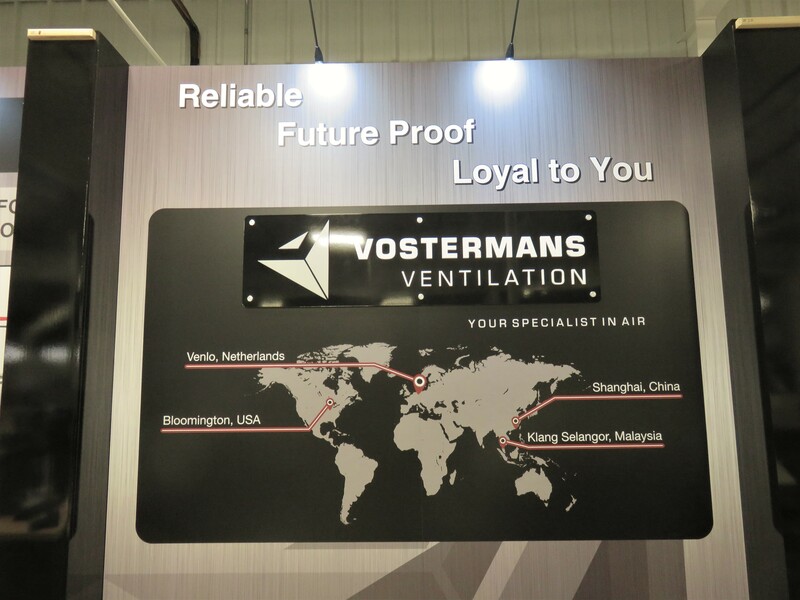 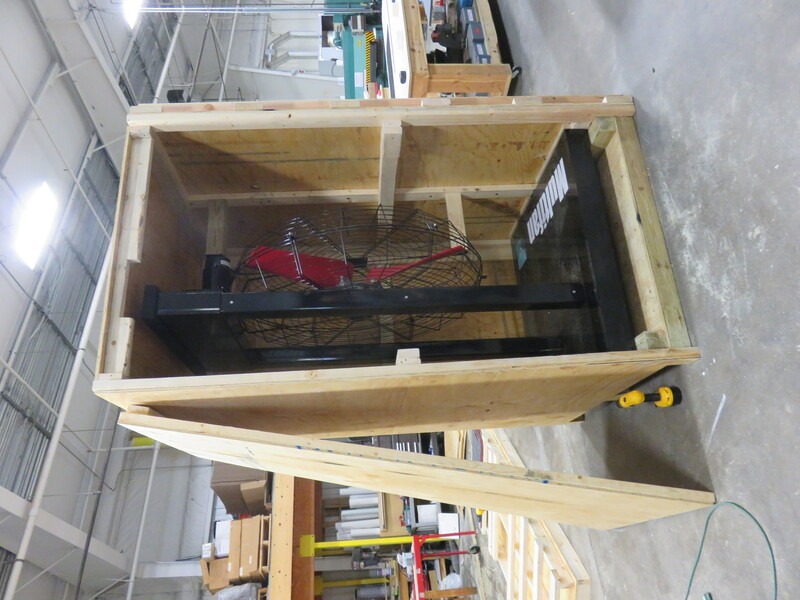 Vostermans Ventilation has employed DynaGraphics Inc. and Wood Printing to design and build its trade show display. 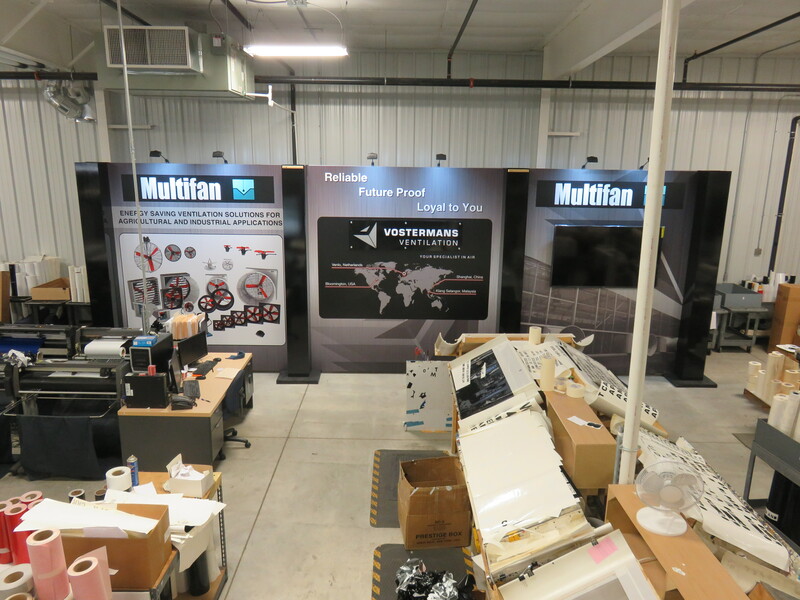 After a month of hard work, the display is coming together. 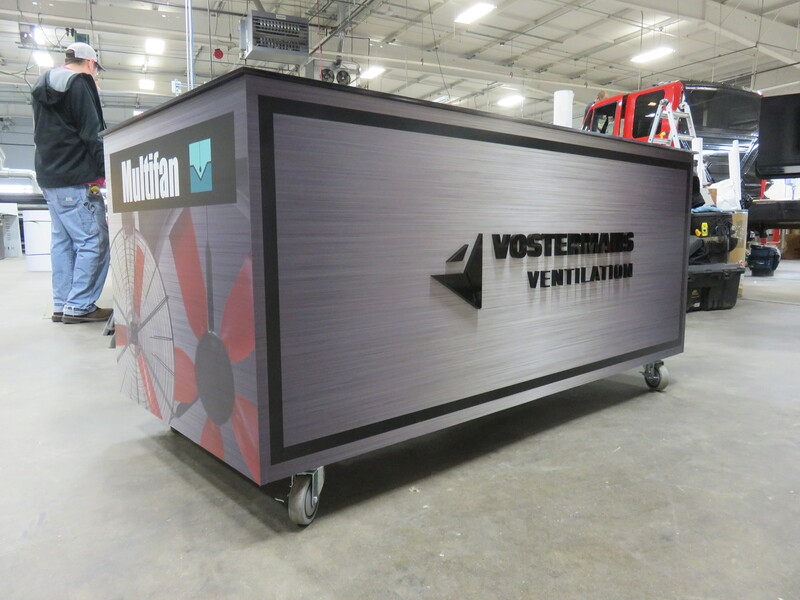 Starting with the design, our project manager and sales representative, along with our expert carpenter, collaborated with Vostermans to develop ideas for graphics and define the criteria for production. 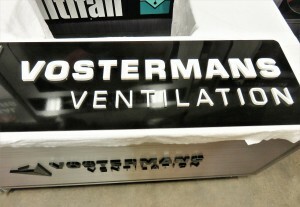 Vostermans brought ideas and made requests; DynaGraphics fulfilled those requests. 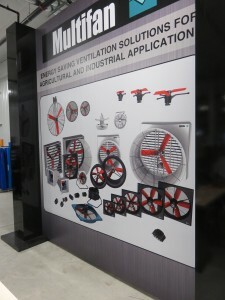 The information went through design and then out to production. 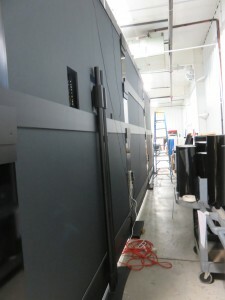 However, it isn’t that simple. DynaGraphics needs to make sure that the visions of our customers are met with 100% satisfaction. 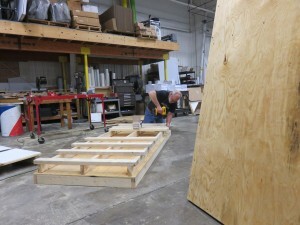 A lot of communication is involved, even after the initial order is made for the project. 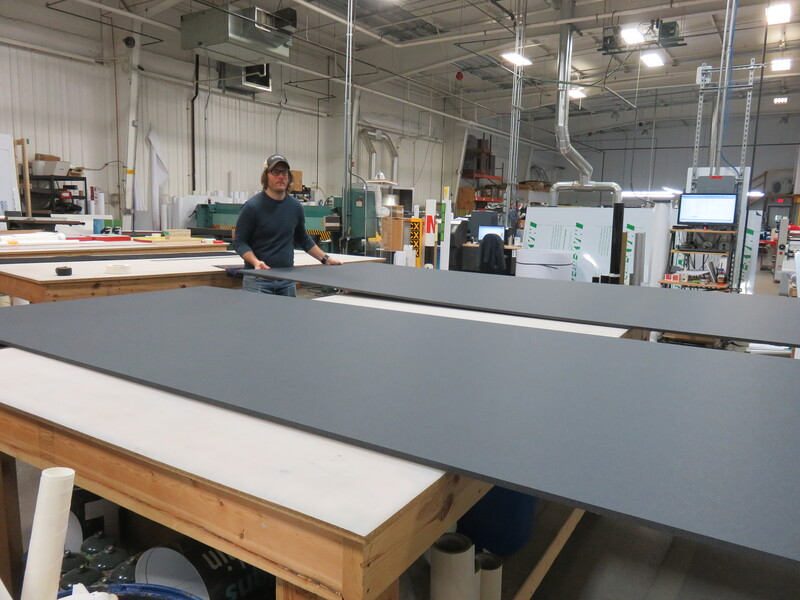 When a design is started from scratch rather than already existing, DynaGraphics has to take every detail into consideration. 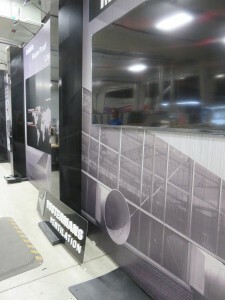 Not only does the final result need to be visually pleasing but also rhetorically effective. 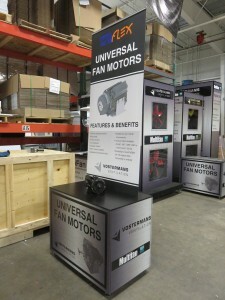 With trade show displays particularly, the layout and graphics need to represent the company honestly and positively. 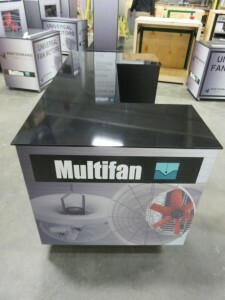 The display needs to welcome visitors and visually tell them the great aspects about the company. Our team needs to know what questions to ask, how the entire process goes, and what the customer is expecting. The design can’t even go to production without the customer’s approval. 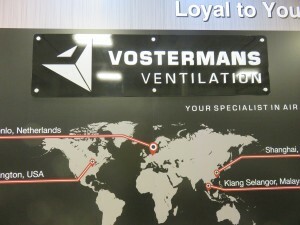 That way our customers know what they are getting and are able to get what they want. 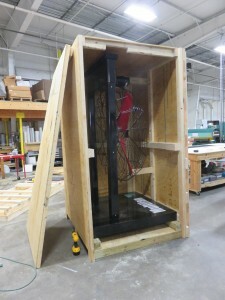 This specific project challenged our team. 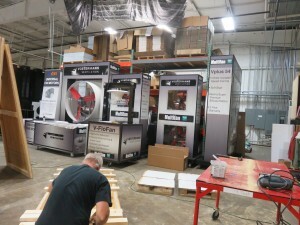 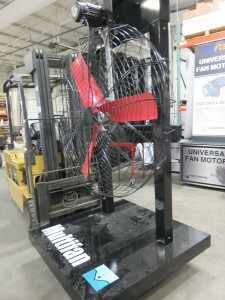 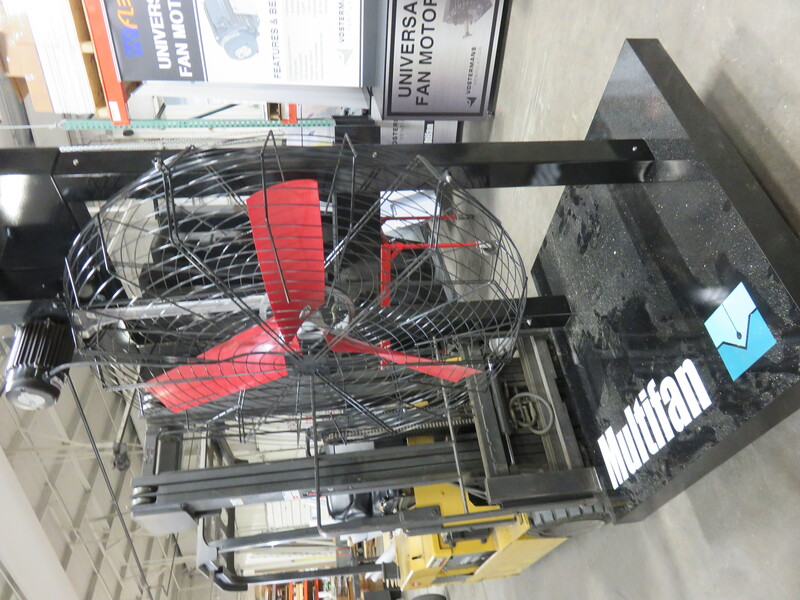 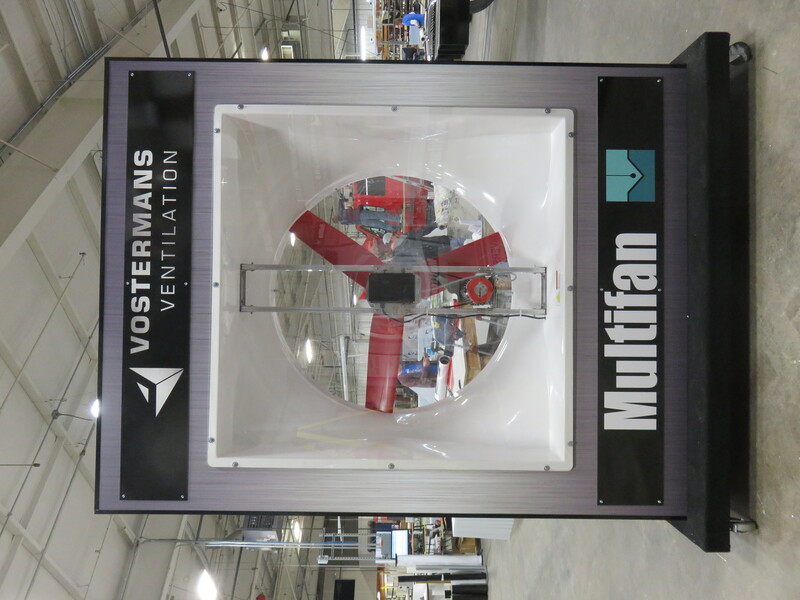 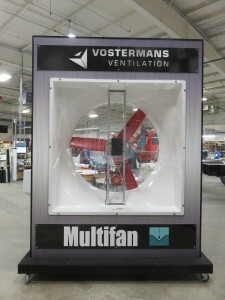 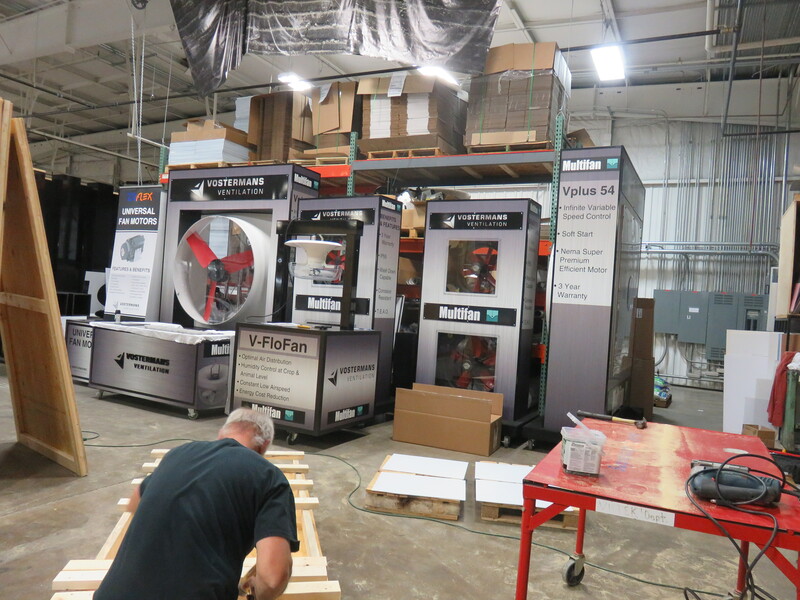 With such a unique product, Vostermans needed the display to be built to showcase their massive fans and the value of their organization. At the end of production, Vostermans Ventilation was shown the display and gave one last final approval before DynaGraphics prepared the product to be shipped out.